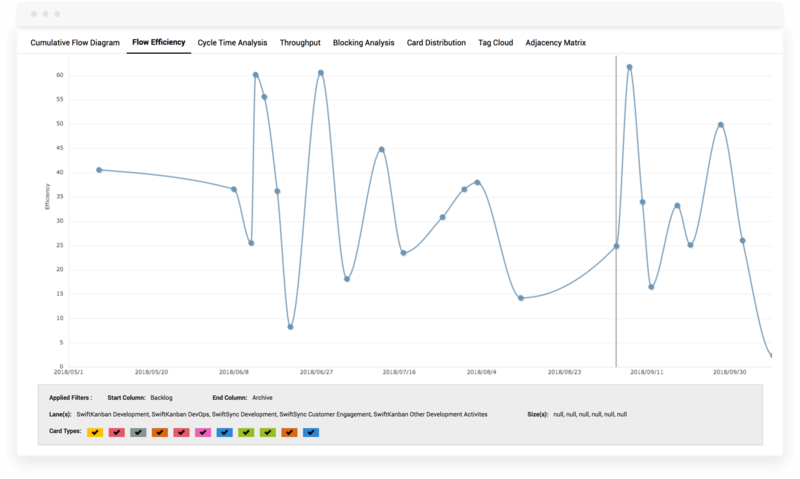 SwiftKanban provides the widest range of Kanban tools/metrics, including Lead/ Cycle Time, Throughput, Flow Efficiency, Blocking Time Analysis, Adjacency Matrix, and several others to help you focus on the right measure for improvement for your business. 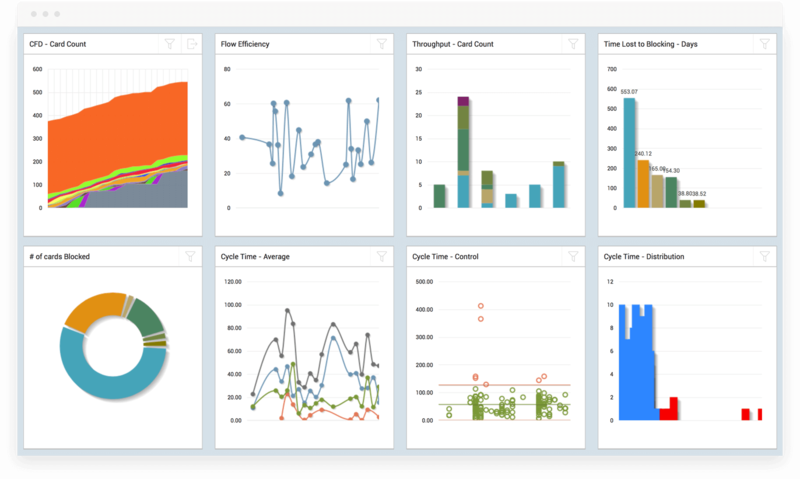 It ships with a widget-style Analytics view that lets you see all your charts at one glance. Each widget can be resized and filtered individually. Adjacency Matrix chart shows the movement of cards from one board column to the next. You can track if the cards are following the entire process, column by column or not. 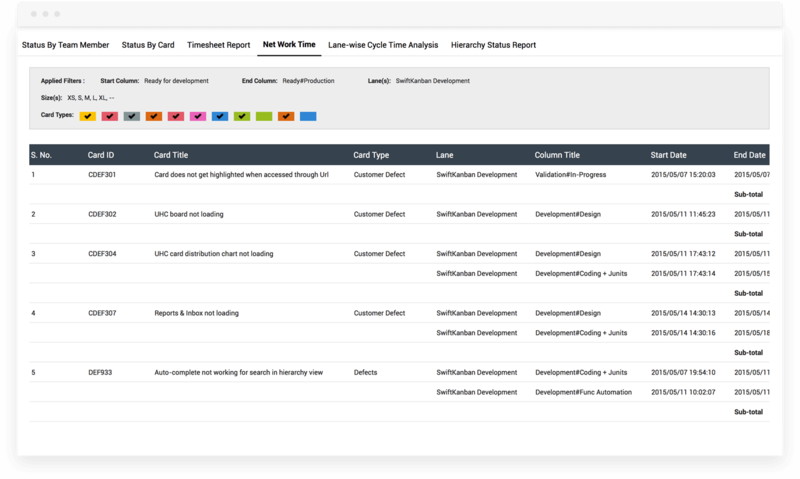 If queues are skipped, it indicates that workflow is not followed, and probably there is scope for process improvement. This article on the Adjacency Matrix should help! 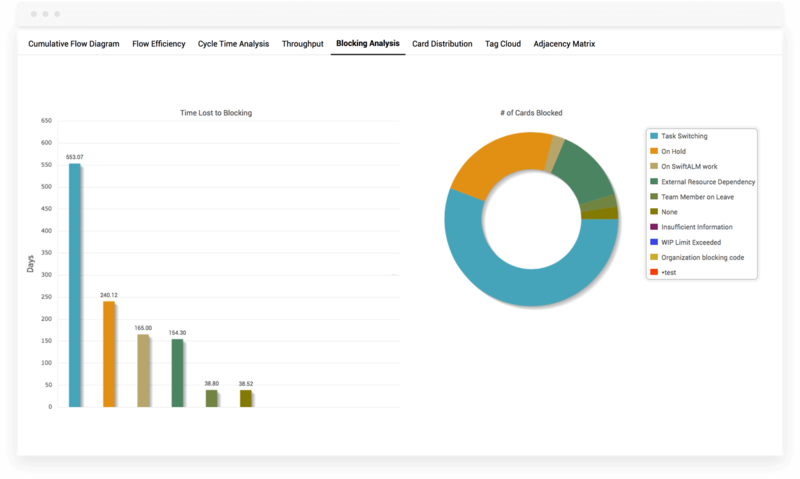 Blocking Analysis provides you some great Root Cause analysis and the impact of blocking on your organization. You can use it to define corrective actions during your next retrospective. Get a report of the ‘net’ work-time for each card while the card was in an “in-progress” lane, and was neither blocked or unassigned. This way the actual work on a card can be compared to the initial estimation. Use the Card Tags to understand what are the key drivers of your Board. You can assign as many Tags to each card as you need. 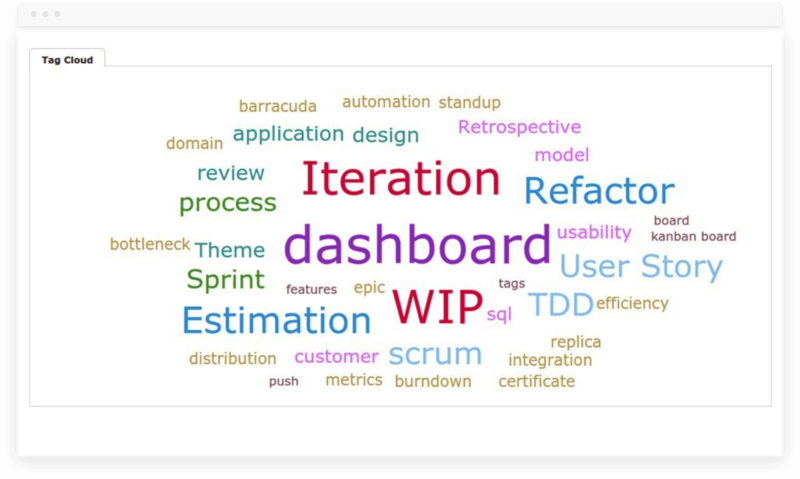 You can use the Tag Cloud to get a quick visual feedback of what are the biggest drivers of your board – customers, technologies, specific themes, etc. (Clicking on the tag gives you the full list of cards contributing to that Tag). You can use the Zoom slider on your the left dock to fit your entire board to the screen or use a zoom level that you are comfortable with. Each level retains the most important bits of information for you to use your board efficiently. 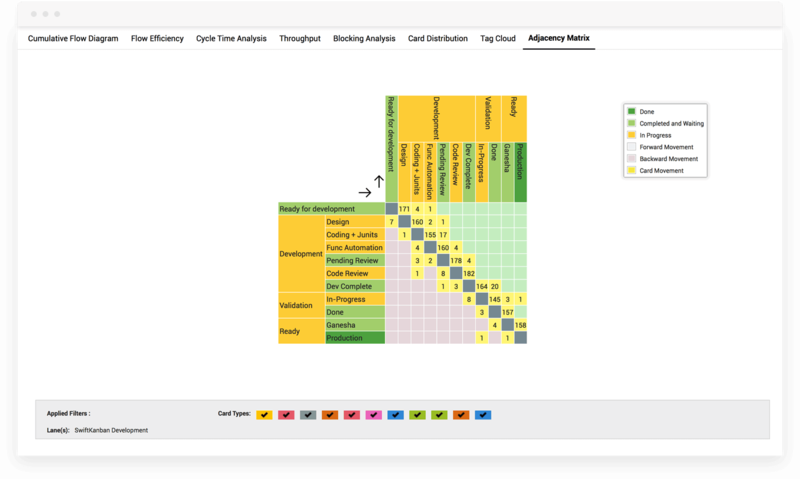 This is a unique feature that allows teams to simply ‘playback’ their Kanban board to review what happened over the review period and get a powerful, visual feedback of their board’s ‘health’.